If you have been involved in a pedestrian accident, you want a lawyer who understands what it is like to be a frequent vulnerable roadway user and can accurately and persuasively convey what happened in your case to the insurance carrier, and, if your case does not settle, to a judge and jury. We are Eco-Friendly Commuters Working for Other Eco-Friendly Commuters. As avid cyclists, we are dedicated to making our community’s streets safer for people who use eco-friendly forms of transportation such as walking. Pedestrians are among the most vulnerable users of our community’s roads and streets. We know this first hand because we are regular cyclists who ride to and from our office on the Midtown Greenway, to the store, to pick up our kids from school, and to meet up with friends and family. Many of the roadway hazards that exist for cyclists also exist for pedestrians. 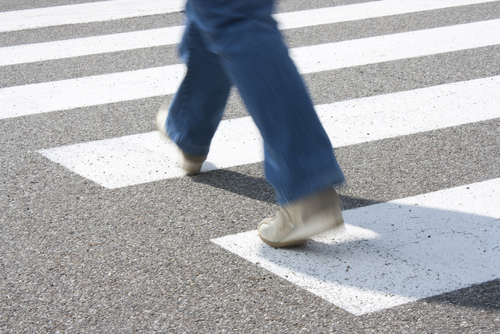 What Should You Do if You are Injured in a Pedestrian Accident? When pedestrians are injured due to a negligent driver, they may be entitled to monetary compensation to cover health care costs, wage loss, emotional distress, and pain and suffering. As regular bicycle commuters, our firm takes pride in using our ten years of experience fighting for the rights of vulnerable people to help advocate for vulnerable roadway users such as pedestrians. These are the only types of injury cases we seek to handle. Take some time to learn about the Minnesota laws relevant to vulnerable roadway users and contact the Law Office of Joshua R. Williams if you or a loved one suffered injuries in a pedestrian accident. We will spend the time, energy, and resources necessary to build a strong case and maximize your settlement, or bring a lawsuit on your behalf and represent you in court, if necessary. How can JRW Law Help? From our first meeting until your case resolves through a settlement or trial, we will stand behind you to help you navigate the legal system, achieve a favorable result, and get your life back on track. When handling your case, we will use the best available accident experts to prove that the driver or other negligent person is at fault, use the best available medical experts to prove the extent of your injuries, and work hard to obtain the fair and full compensation the law entitles you to receive. We will thoroughly investigate your case, including personally interviewing every person who may have witnessed the accident that caused your injury. We will walk the same section of road where you were hurt to further bolster our ability to understand what happened and advocate on your behalf. No case is too big for our firm. We use the deep network that we have built up over the years to team up with some of the best lawyers in town on certain complex cases at no extra cost to our clients. We work pedestrian accident injury cases under contingent fee arrangements, which means you owe us nothing unless we are able to recover money for you.